Aidan Smith: Why does LTA struggle to acknowledge Andy Murray’s legacy? Tennis trick-shot of the week? No, it wasn’t Nick Kyrgios, the self-styled wild and crazy Aussie, serving underarm against Dusan Lajovic at the Miami Open. With his Serbian opponent well behind the baseline, Kyrgios stood over the ball, bounced it a couple of times and without looking up flicked it over the net, flatfooting the disgusted Lajovic for an ace. That was nifty but even more astonishing was the British tennis establishment being able to look both rich and poor at the same time. Rich because Wimbledon debentures went on sale on Thursday – “the most sought-after tickets in the world,” confirmed the All England Club with glee. Poor because 24 hours earlier the sorry saga of the Murray legacy – that is, the lack of it – made it to the House of Commons. If Theresa May, seemingly not able to do anything right, had managed to grab a brief respite from her Brexit agonies and wandered into this debate, she might have been tempted to pull what remaining rank she possessed and announce a gigantic tennis initiative for Scotland with every small-to-medium sized town getting state-of-the-art indoor facilities, the esplanade of Edinburgh Castle being turned into a court and 12 more built on a covered-over Loch Ness. This would pacify the revolting, racket-wielding Scots and save the United Kingdom! 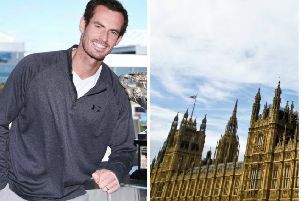 There’s an all-party parliamentary group on tennis – who knew? Toby Perkins, Labour MP for Chesterfield, tabled the question about the legacy row, the issue having been repeatedly raised by Judy, Andy and Jamie, with the latter earlier in the week describing the lack of support for Scottish tennis as “f*****g annoying”. 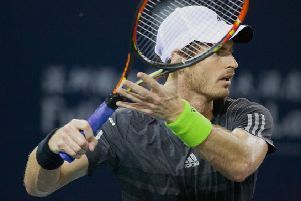 “I share the widespread frustration at the failure to build on the once-in-a-lifetime opportunity that Andy Murray’s success has provided for British tennis in general and Scottish tennis in particular,” Perkins said. 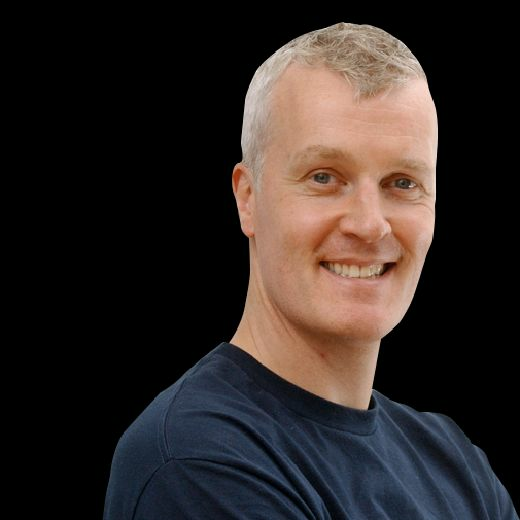 He called on Holyrood to put pressure on the Lawn Tennis Association to “deliver a lasting and fitting legacy to arguably our greatest-ever sporting star”. Fine words, but he was talking about the same LTA which is struggling to form a winning relationship with the first family of tennis. This was the case under the association’s previous regime and it’s not gone much better with the new one. In January the body were criticised for their tardiness in responding to Andy’s emotionally-charged announcement that his career may end this year, their online tribute coming four days after. Now there’s an LTA rebrand built round contemporary players and coaches who prominently feature in a 36-page document and video outlining the new vision for tennis. None of them, though, is called Murray. “Interesting”? That’s one word for it. The LTA have defended their strategy by saying that while they have at least been talking to Andy about legacy, the rebranding is an attempt to “open up tennis to new people”. The video features Johanna Konta, Kyle Edmund, Cameron Norrie, Katie Boulter and Heather Watson. Some of them aren’t exactly “new”. They’ve been striving for a while, and been damned with faint praise as “plucky Brits”. It is difficult to see our next superstar coming from that group and you get Jamie’s point about role models. Andy, even if the end is nigh for him, will still inspire a kid who can’t quite see over the net. Scotland, despite Kazakhstan, is still football-daft, but in my 12-year-old son’s team the most popular second sport is tennis with many playing competitively. This simply wasn’t the case in drookit, crater-marked Scotland in the pre-Murray age. These youngsters and others of this generation are all Sons of Andy; he and he alone brought them here. Murray should have been part of the rebranding; indeed the main thrust. No wonder some are saying he’s been “airbrushed” out of things. And look who’s been complaining about this. The comedienne Miranda Hart, left, may seem an unlikely rabble-rouser for Murray but that just shows you the depth of his appeal, the people he’s moved. Surely even the “global super-rich” know about Andy Murray. This is the socio-economic strata expected to bid for Wimbledon debentures. Even if these people were keen on the £100,000 season passes for the next five years so that they can see and be seen on the VIP terraces of the All England Club, they might be aware of what Murray has done for the tournament. Even if their chief interest was, in the words of Wimbers’ marketing department, being “granted access to a rarefied world to meet other global influencers”, they could still acknowledge that our man’s blood, sweat, tears and of course skill have added to the lustre of the tournament over the previous five years. Tennis really is a sport like no other. Unlike other sports, and pop concerts, you don’t get vilified for reselling your tickets. You might think one of the five Wimbledons having already passed would merit a reduction in the cost, but debentures can still triple in value. They far outstrip the performance of stock markets and are a better investment than gold. This has been the golden age of tennis, especially in the men’s game, and we wait for the emergence of a new Big Four (and we wait and we wait). It’s sometimes said of tennis that it’s a sport for people who don’t actually like sport so maybe the reticence of heirs apparent to reveal themselves and demonstrate that they might have a personality lurking in those giant holdalls isn’t such a problem when the sun in shining and the strawberries are plump. Still, as these incredible champions reach the autumn of their careers, British tennis should be making a better job of preparing for the post-Murray era. Honestly, some have not known what to do with him, and seemed more comfortable when all we produced were gallant losers. Well, we might be heading back to those times.